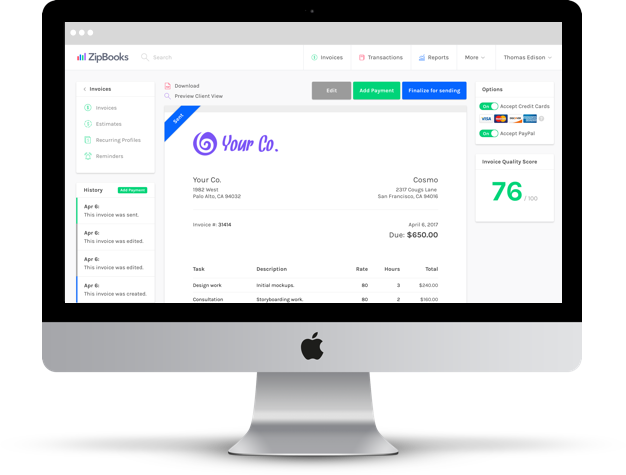 ZipBooks is the best QuickBooks invoice template alternative because it looks good, has a user-friendly interface, and is built to get you paid fast. Using QuickBooks for your accounting but want to try our basic invoice template? Sign up with us and export our ZipBooks invoices to QuickBooks. You can add your logo and client billing information to personalize each invoice. Our online invoicing template is not only functional and easy to use, but it looks clean and professional. 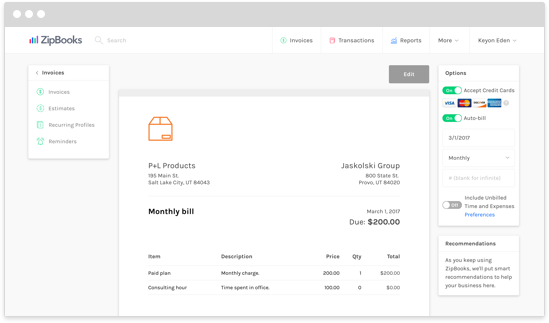 Your clients will find it's easier to make payments using a simplified invoice template. Get paid on time by saving clients the hassle of other complicated templates. To try it out, just sign up for a free account using your first and last name and an email address. It's effortless, and it will save everyone time and hassle. 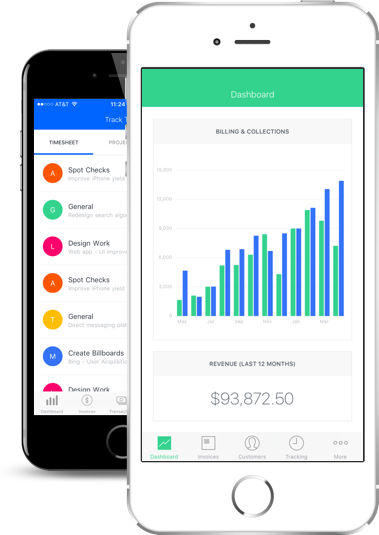 Our QuickBooks alternative allows you to carry your invoices wherever you carry your phone. That means you can be invoicing from home, from a worksite, from the office—wherever it is your business takes you. We realize keeping up in the business world means keeping up with technology. With just an email and your name, sign up for ZipBooks quickly and invoice customers today. 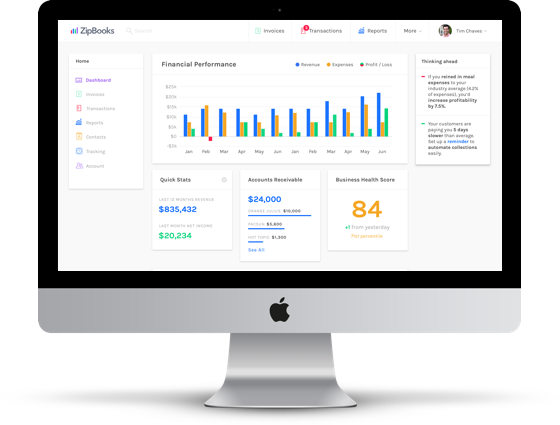 ZipBooks is unique not only because it's an alternative to a free QuickBooks trial, but because it make you and your business efficient and successful. Our simple interface directs your attention to what's most important, allowing your cash flows to remain accurate and consistent. 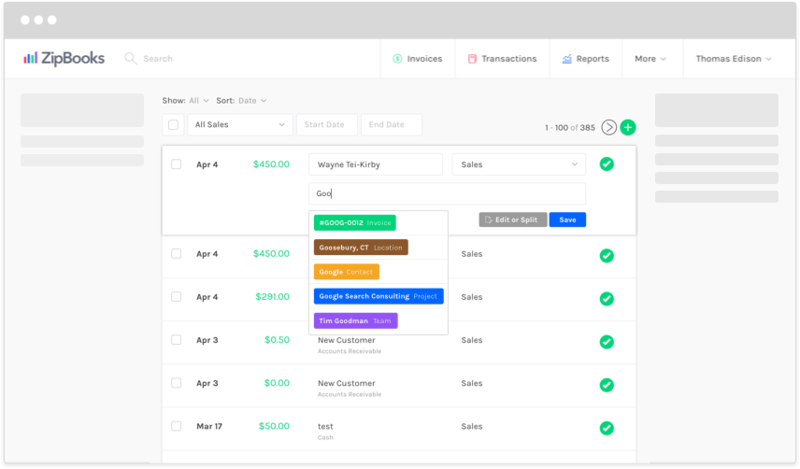 ZipBooks lets you manage your invoicing like no other software, and it's easy enough for anyone to use. 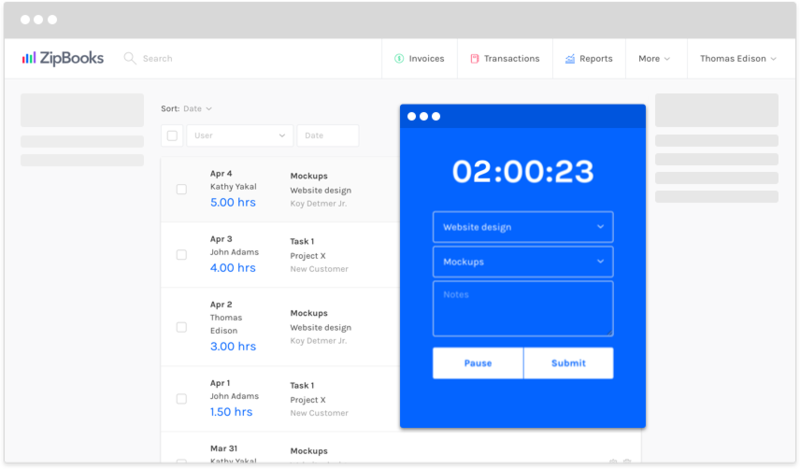 Write up invoices online, record your time with our time tracker, and meet your clients' needs like never before. You'll be glad to find that our online system is fast, focused, and it's a big money-saver. In recent years, businesses have decided to make the switch to online storage. This may sound risky, but it's actually much safer than storing data on your local drives. With 256-bit SSL encryption, ZipBooks gets you online safely. Throw away your plans for paperwork, because invoicing can be done online with ZipBooks. 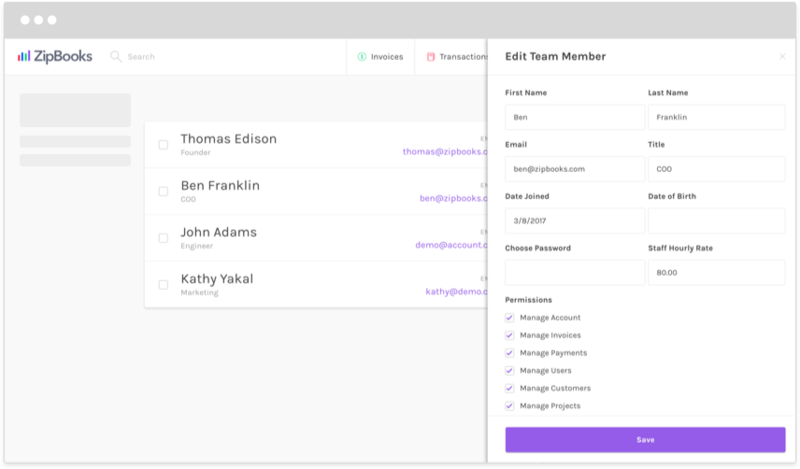 Send and receive payment on invoices with the press of a button. Don't worry, it's definitely free! 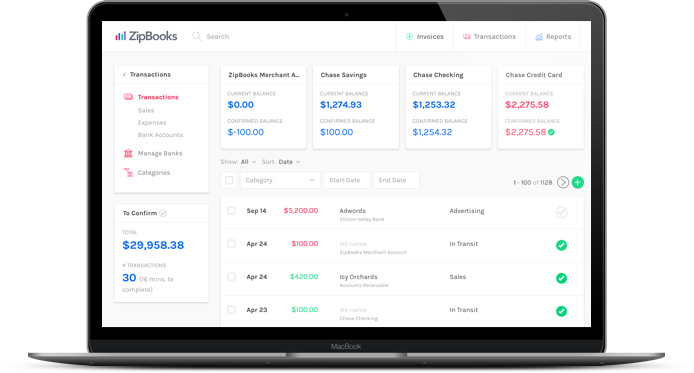 ZipBooks lives to see your business get paid. We are successful as we make you more efficient. And we'll keep providing online invoicing tools to make sure of that.